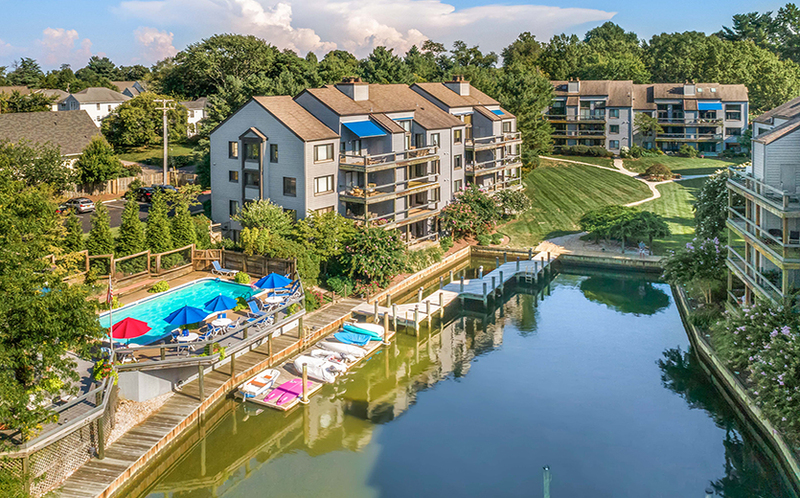 6 Spa Creek Landing #A-1 is located in the gated community of Shearwater on Spa Creek. 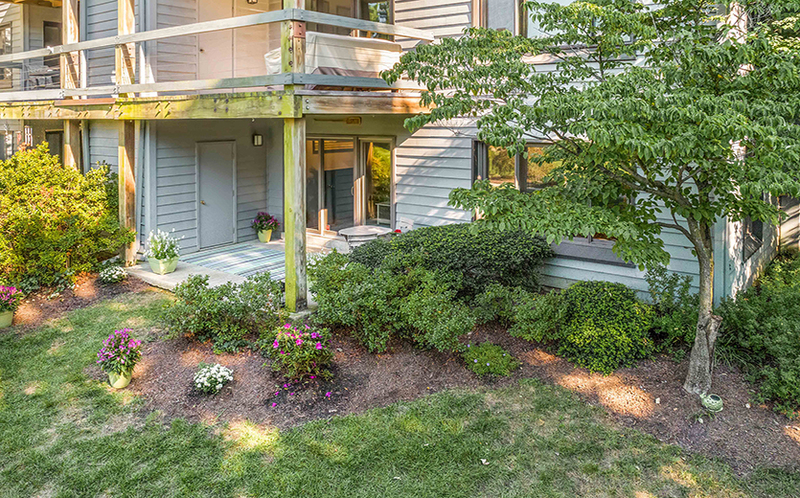 This ground-floor end-unit has views of Spa Creek and two sides of windows which let in lots of natural light. 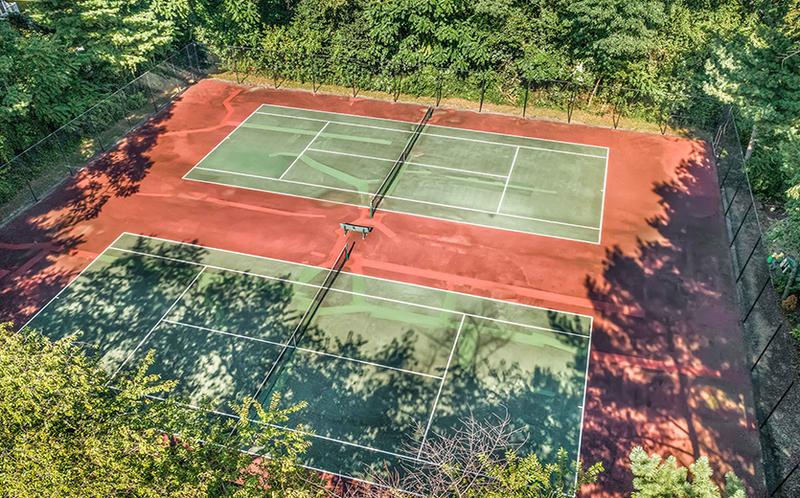 The community has deep-water slips for rent at the marina and there’s a community pool and tennis courts. 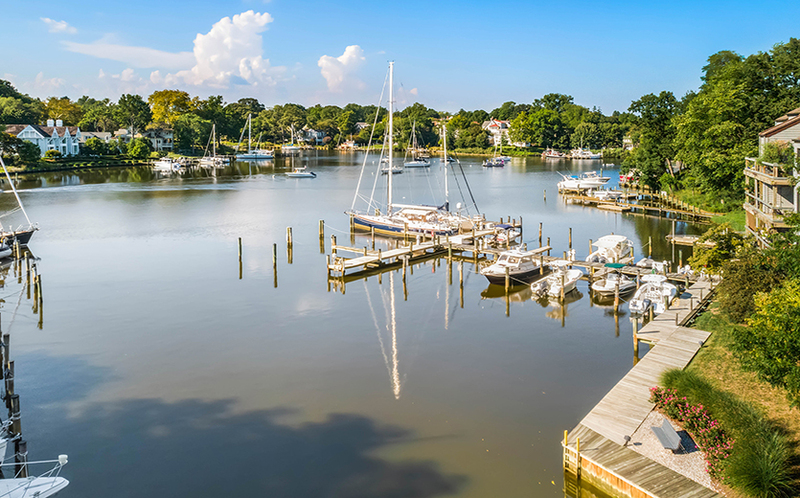 This home is in a great Eastport location that can have you in downtown Annapolis either by boat or by car in 10 minutes, or take advantage of a sunny day and enjoy a leisurely walk or bike ride to City Dock. 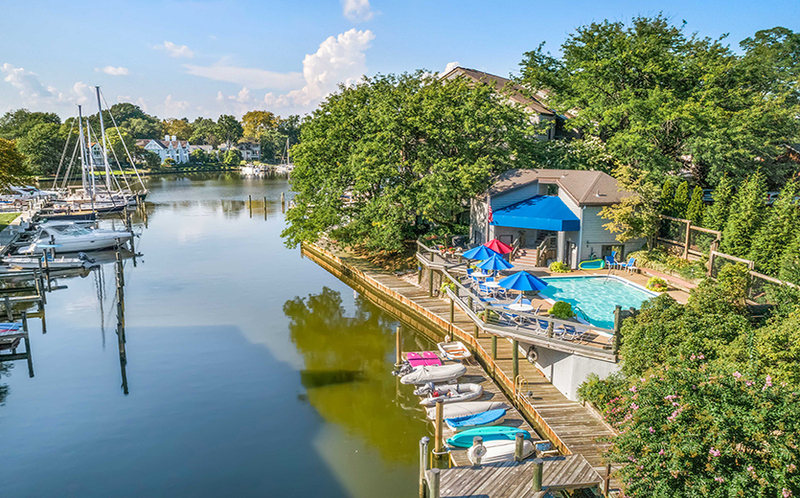 Call the water taxi to pick you up for a special treat! 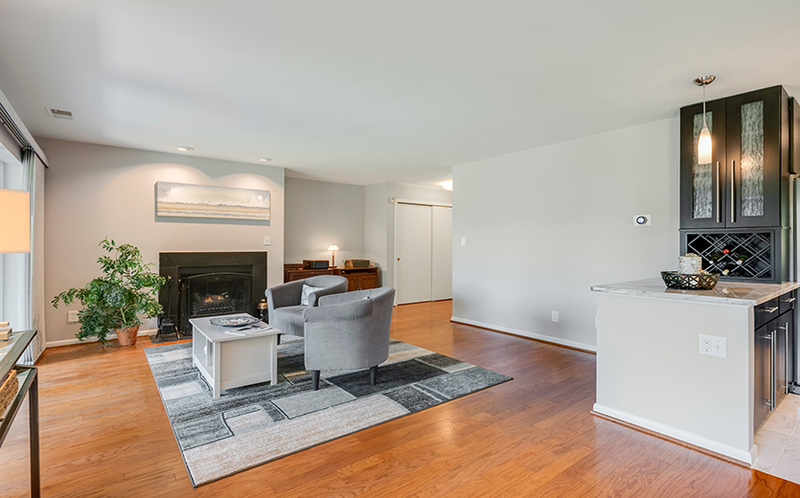 The main living area of this unit has beautiful hardwood floors and a wall of windows looking out to Spa Creek. 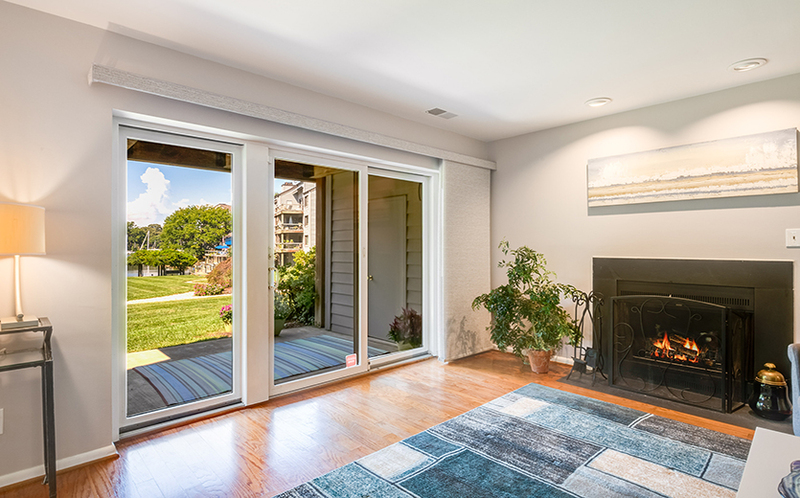 Stay warm by the wood burning fireplace in the fall and winter, and step out through the sliding glass doors to your covered waterside patio to enjoy the weather in the warmer months. 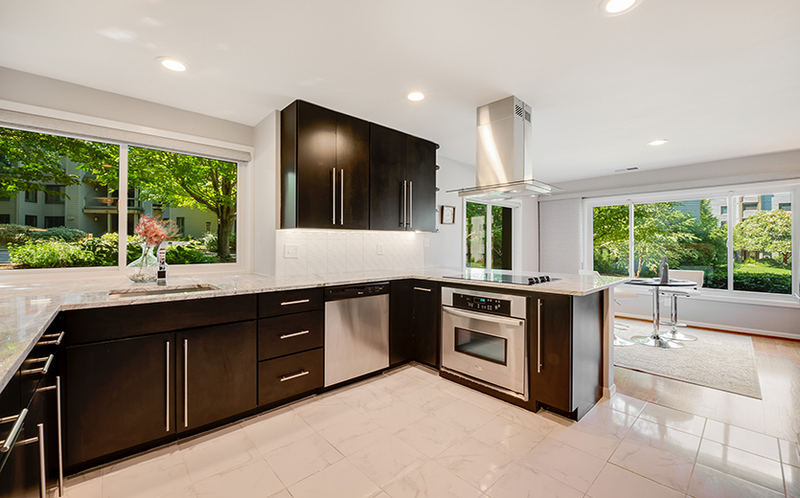 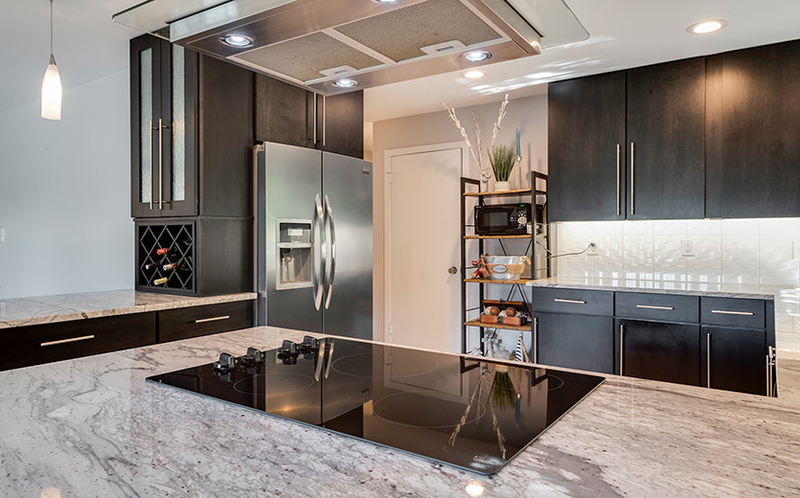 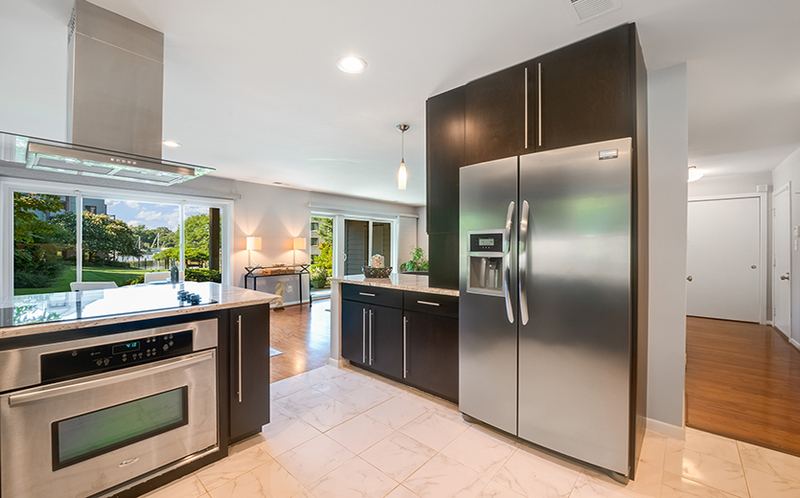 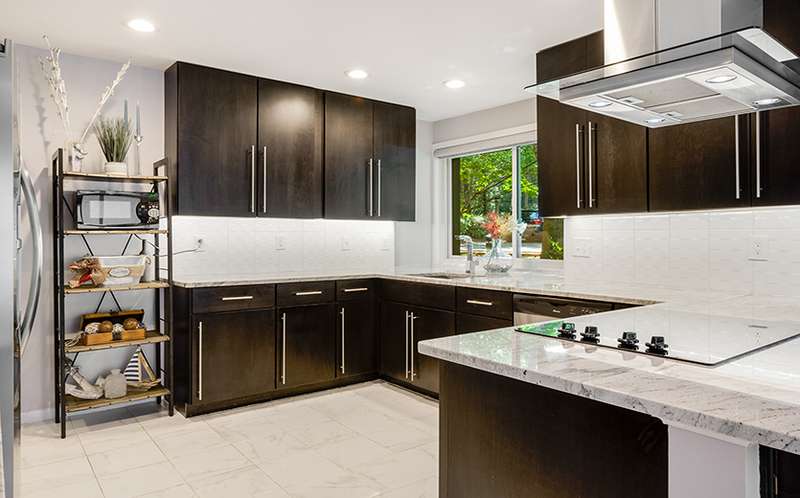 The renovated kitchen has rich wood cabinets, light granite counters, and stainless steel appliances. 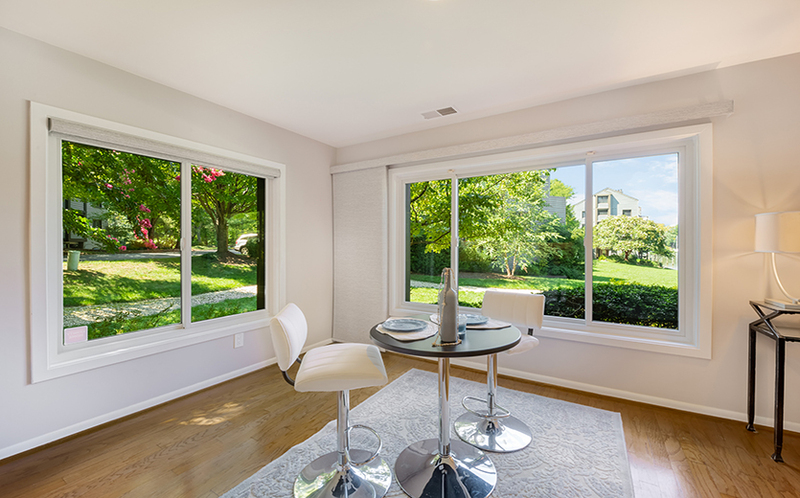 The kitchen is open to the dining area with two walls of windows and views of the water. 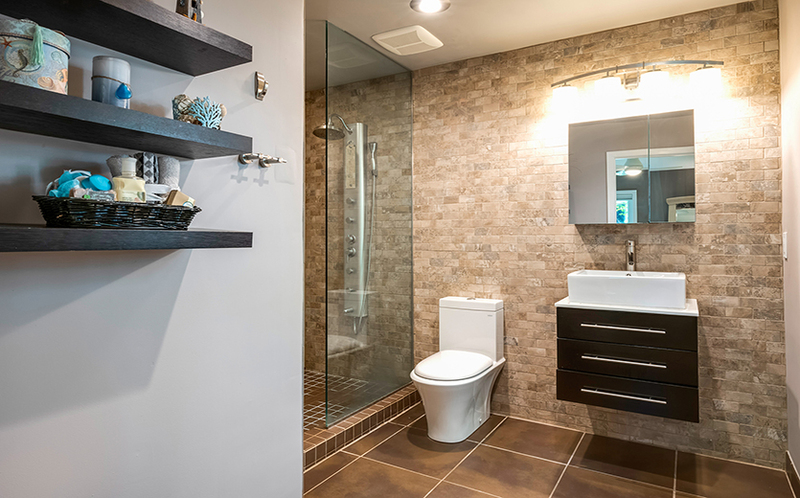 There is an updated powder room adjacent to the main living space. 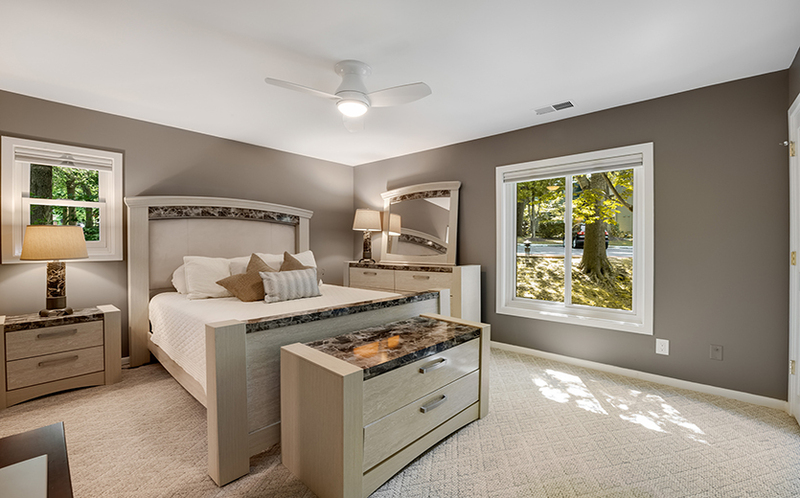 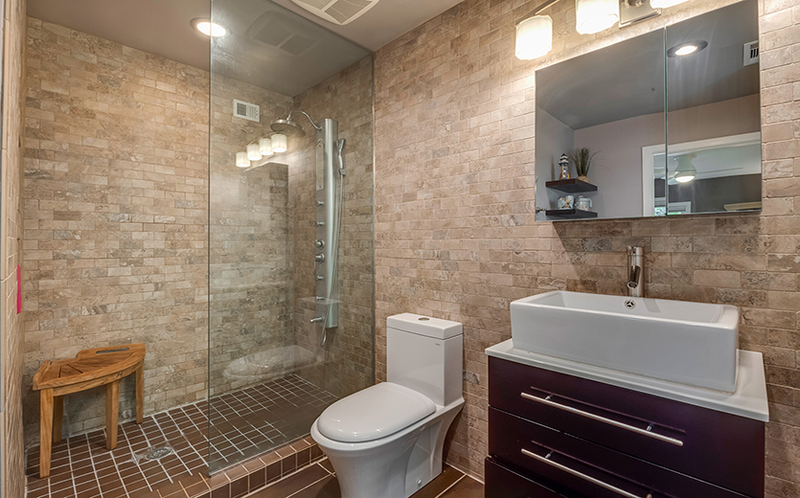 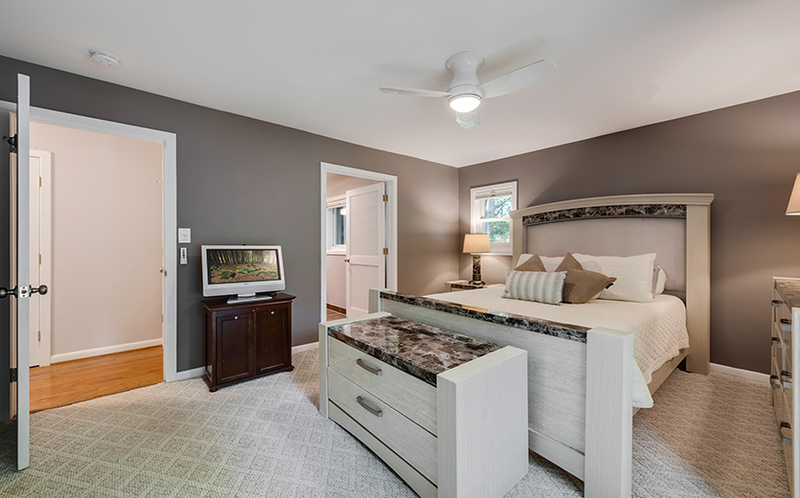 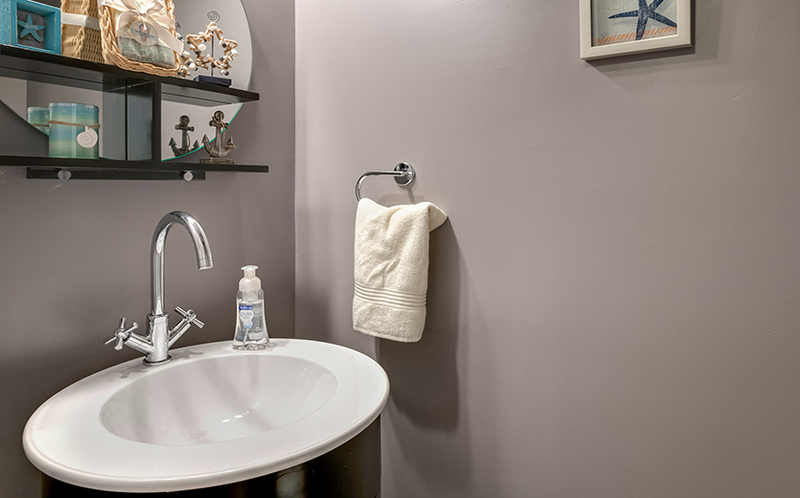 At the end of the hall, the spacious master bedroom has large closets and a private, fully renovated bathroom complete a with a frameless spa shower and vessel sink. 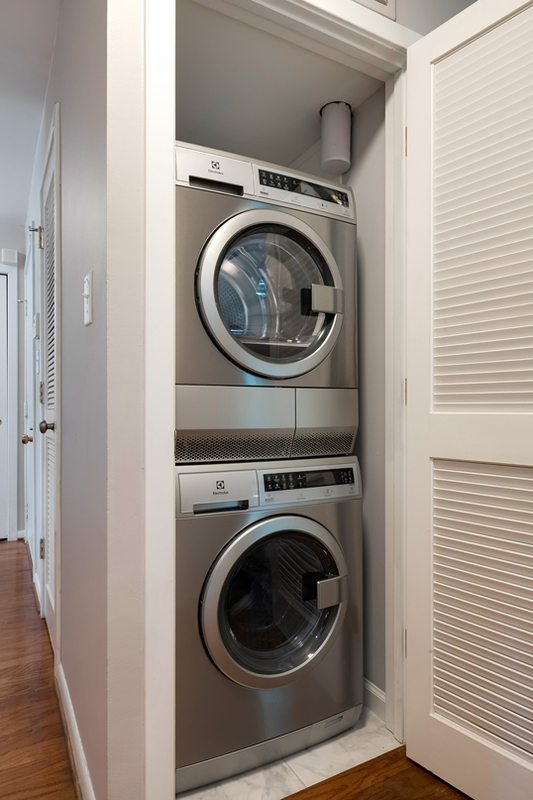 This unit includes a new, full-sized washer and dryer. 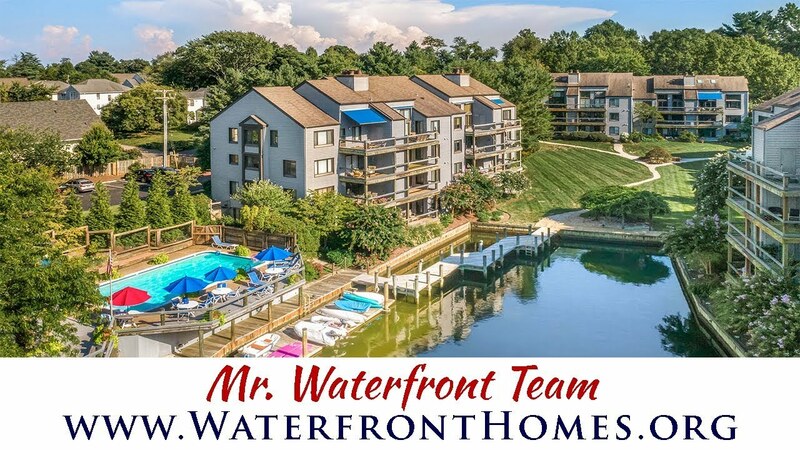 If you’re looking for the convenience of a lock-it-and-leave-it home in a gated waterfront community, this is the place for you! 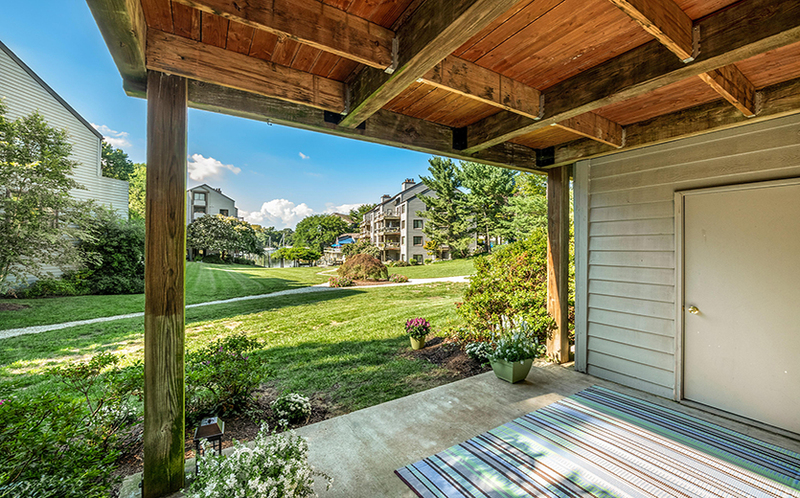 Watch the live video tour to fully appreciate easy living on Spa Creek. 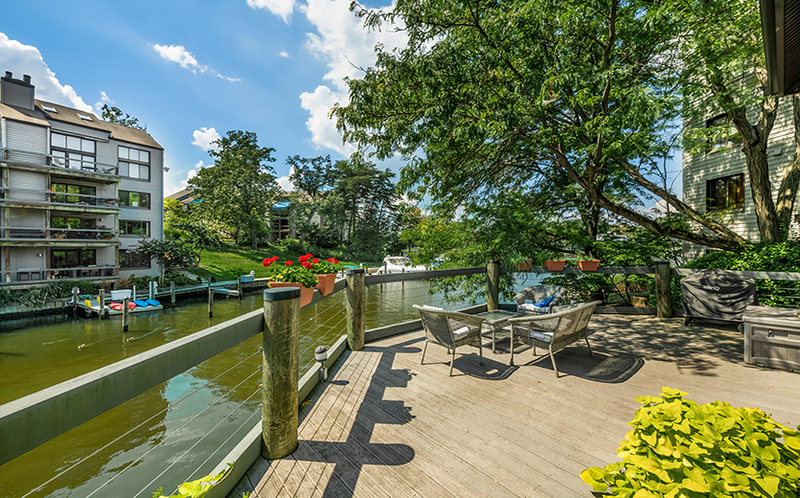 Call the Waterfront Experts to arrange a private tour: (410) 266-6880. 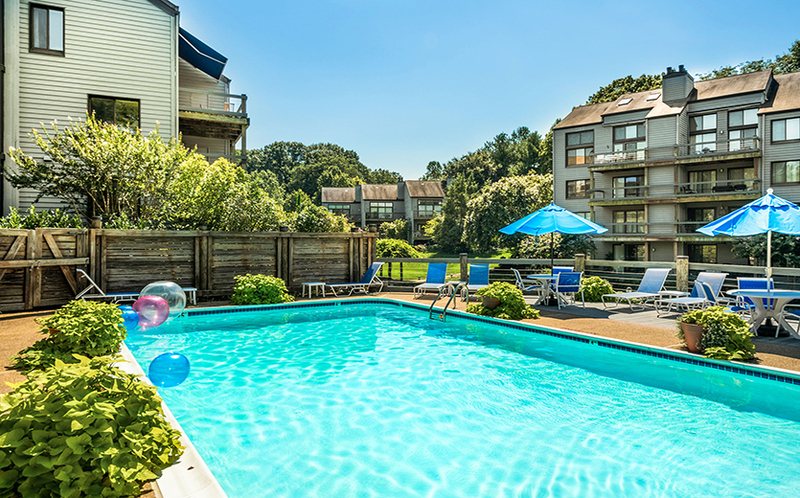 Enjoy the waterfront lifestyle at Shearwater!